Home » Individually Screened & Overall Screened Multi-pair Data Cable 24AWG RS422 Low Cap. Manufacture for RS422 data connections. High speed and interference free data transmission due to combination of low capacitance insulation with the highest levels of screening. Low Smoke Zero Halogen versions are also available. Materials for insulation and sheath can be replace by those that do not emit halogens and toxic smoke. 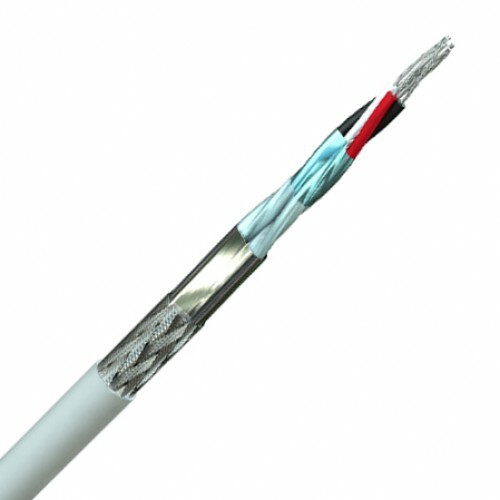 Tinned copper conductor 24(7) AWG 0,22mm2, foam polyolefin insulation, twisted into pairs, each pair individually aluminium / polyester foil screened with an overall aluminium/polyester foil screen, tinned copper drain wire (24AWG), overall tinned copper braid (65%). PVC sheath.